Greetings, and welcome to the year 2016. In case you missed it, we have self-driving cars, performances by holographic Tupac, and a new Star Wars movie with CGI that you swear you could reach out and touch. What a time to be alive! So, I’m asking you as a friend, why are you still performing safety inspections with paper and pencil? Change and technology can be scary, but it can also transform your safety culture for the better. Back away from the rotary phone, stop fidgeting with the bunny ear antennae, and let me introduce you to the future of your safety program. Paper and pencil has long been replaced by the electronic mobile device, AKA your cell phone and tablet. Apple and Android have put aside their differences to help your organization more effectively gather, dissect, and organize your safety data. Gone are the times of overstuffed filing cabinets, bursting at the seams with inspections that will likely never again see the light of day. Sure, the upside of pencil and paper is that anyone can use it, and also that it doesn’t require electricity or an internet connection, but that’s about where it ends. A piece of paper cannot help to keep workers accountable for resolving issues, and furthermore, it’s extremely difficult to run reports on the leafy contents of your file drawer without the tedious manual entry of data into a reporting program. Paper inspections are also uselessly wasteful. You can only perform one inspection at a time while using a different piece of paper for each. 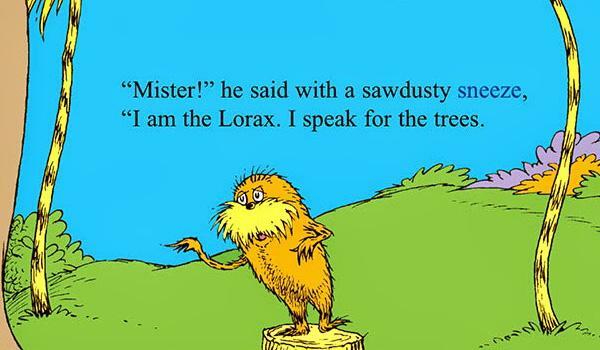 I may not be the Lorax, but someone’s got to speak for the trees. Mobile devices empower the work force to really get involved in their respective safety programs by revolutionizing how data is collected and stored. Inspectors now have the ability to take photographs of unsafe observations, assign that issue to whoever needs to fix it, and then track it until it’s taken care of. Whoever was assigned to fix that issue may also add an “after” photo for further proof that the safety hazard has been fixed. Once an inspection is completed on the device, it is synchronized with a cloud-based program that stores and reports on your safety information. These reports can be used to enhance your safety program by shedding light on causal factors and common areas of risk, allowing the opportunity for proactivity. Completing inspections on your mobile also saves time. There is no need to switch to a new phone for a second inspection or a new type of checklist. Much to the delight of interns and admins everywhere, there is also no need for the miserable deed of transferring the information from paper to database. Aside from the most basic functionality of housing an inspection, the only other notable commonality of paper and mobile device is that each yield the best results if they’re kept dry; and even that is beginning to become a thing of the past with certain new cell phones. Ultimately, paper and pencil inspections cost more in wasted time and heartache than it would cost for a fleet of refurbished electronics. Paper cannot track an issue and hold someone accountable for its remedy, paper cannot report, and paper cannot store itself for eternity while still remaining easily searchable. The use of handhelds allow your safety team to work smarter, not harder – the most payout for the least amount of work. That’s what the future’s all about, right? The trees that you’ll save in the process will ensure that the future is also significantly less oxygen-deprived as well. Unless someone like you cares a whole lot, inspections are never going to get easier, they’re not. Tara serves as a Support Analyst on the Customer Care Team at Predictive Solutions. Tara champions the 'best customer service, every transaction, every time' philosophy at Predictive Solutions.